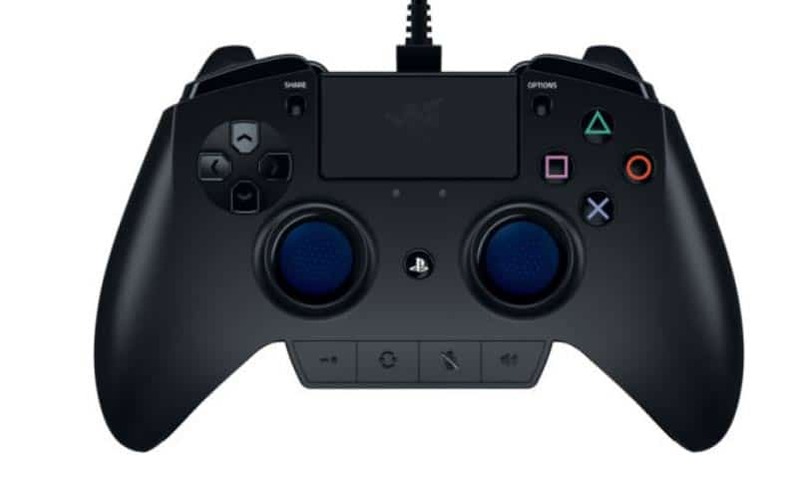 Razer Raiju, Nacon Revolution PS4 Controllers Announced | Nerd Much? If you’re like me, you’re not exactly the PS4 controller’s biggest fan. I know there are many out there who actually prefer the PS4 Dualshock 4 over the Xbox One’s controller (like our news editor, Garrett, for example), but for me, I just prefer the size and weight of the Xbox One‘s controller. 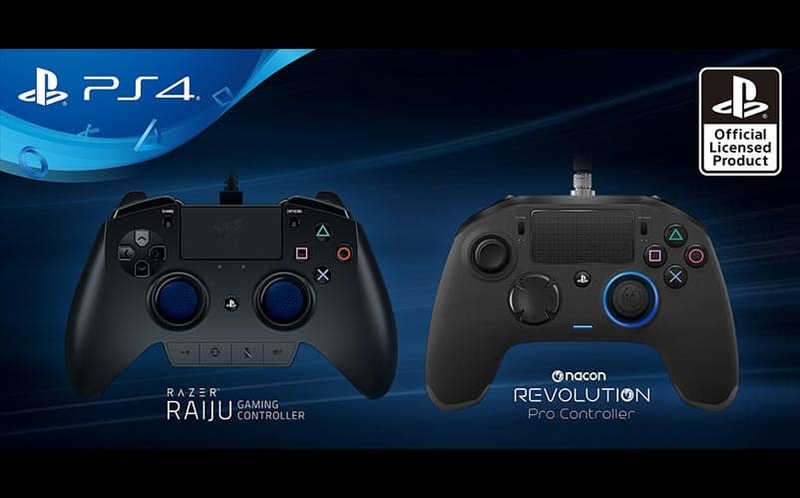 But today, the official PlayStation Blog announced (which we found via Kotaku) two brand new officially licensed PS4 controllers, the Razer Raiju and the Nacon Revolution Pro. First up: The Razer Raiju, designed specifically for eSports tournament players with customization and ergonomics in mind. This PS4 controller features two extra bumpers with two extra detachable triggers. On the front of the controller, you’ll find built-in controls for volume and mic, as well as a button that will allow you to instantly switch between two custom profiles. The Razer Raiju also features trigger-stop switches and a hair trigger mode. It also has detachable stick rubber caps for extra grip during longer gaming sessions. Like the standard PS4 Dualshock 4 controller, the Raiju also has a 3.5mm headset jack. As far as it looks, it looks to have slightly fatter handles compared to the standard controller, with the sticks equally spaced apart from the center of the controller. The Razer Raiju PS4 Controller. As far as the Nacon Revolution Pro is concerned, it’ll be much more interesting to those Xbox One players, as it features a design that’s much more closely aligned to the Xbox One controller, at least as far as its size, analog stick placement and shoulder buttons are concerned. It also features an eight-directional D-pad for more precision. 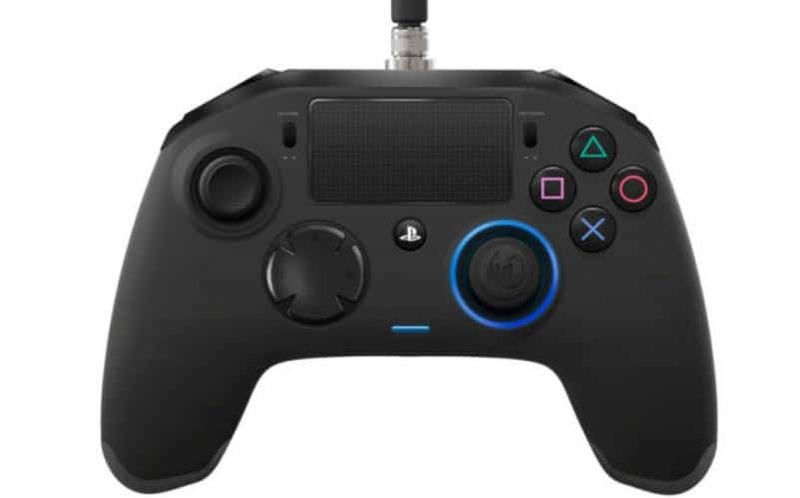 The Nacon Revolution PS4 controller also has four extra shortcut buttons, four custom profiles (which are configured through the companion PC app), the ability to re-map buttons, create and assign macros, and adjust the analog and trigger sensitivity. What’s more, it has two internal compartments that have six additional weights that will allow you to adjust the weight of the controller to your liking. Hopefully, these two new PS4 controllers will allow for an Xbox One Elite-esque experience, and judging by their highlighted features, it appears that’s exactly what they’ll do. If this is as close as we’re going to get a PS4 Elite controller, count us in. There’s no word on their pricing, and for now, their release dates are set for “this holiday season”. We’ll keep you posted as we learn more.